All new housing developments should be fitted with three-phase electricity supply instead of the current practice of ‘lowest cost’ single phase supply to allow greater deployment of residential solar, according to a new report out today. The Renewable Energy Association (REA), joined by distribution network operator (DNO) Western Power Distribution (WPD), has made the case that upgrading the electricity supply to homes is well overdue, with the current single phase model the norm since before World War II. The paper, “The feasibility, costs and benefits of three phase power supplies in new homes”, argues that updating regulation to three-phase would for greater facilitation of distributed energy resources in UK homes. 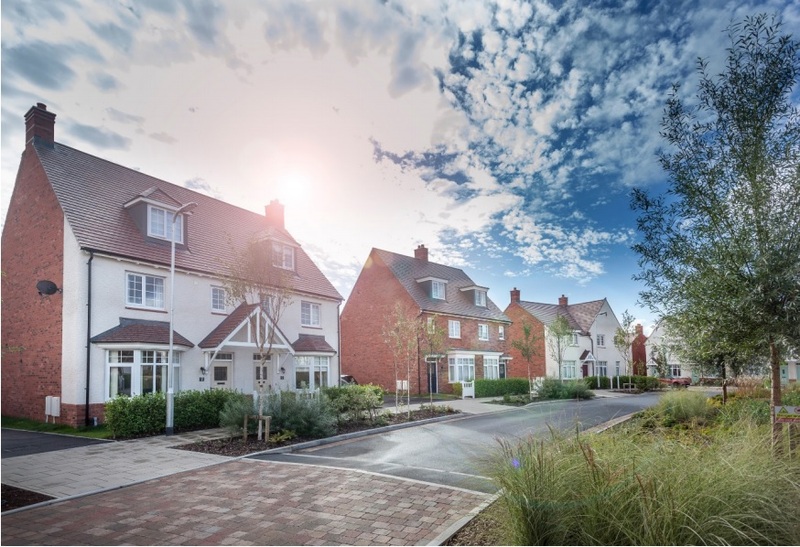 When planning a new housing development DNOs will provide a price for installing a supply and connection to each house. By law they have to give the “lowest cost, efficient, coordinated and economic solution”, which is currently deemed to be a single phase connection. The REA and WPD paper argues that this has a knock-on effect on the size of solar systems currently possible on homes. Under Engineering Recommendation G83, single phase connections currently restricts domestic export to 3.68kW AC of solar PV per phase on their rooftops, without seeking DNO permission. A three phase power supply could support a higher capacity system by permitting 16A per phase, trebling the capacity of the system to be installed. This would still comply with G83, meaning that homes with a three phase system can install an increased amount of solar on their rooftops without having to request permission from the DNO. However, with cuts to the feed-in tariff both previously and to come in March 2019 when the subsidy scheme comes to an end, and the potential removal of the export tariff currently out for consultation, the drivers for larger domestic systems are diminishing. Nevertheless, Skorupska has argued that increased power supplies via three phase connections would allow other technologies as well as solar to proliferate and help deliver carbon reductions across the UK. “The built environment is a major source of carbon emissions. If we are serious about delivering on our ambitions to reduce energy bills, meet our carbon targets, and deliver on our Industrial Strategy aims, we should ensure that they have adequate electrical connections. “Three phase power supplies in new homes can facilitate a more rapid deployment of renewable heat systems, greater uptake in rooftop solar PV, and greater choice in charging your electric vehicle,” she said. WPD is currently trialling the use of three-phase connections at the Parc Eirin Energy Positive Homes development in Wales in order to determine the costs and benefits of doing so. 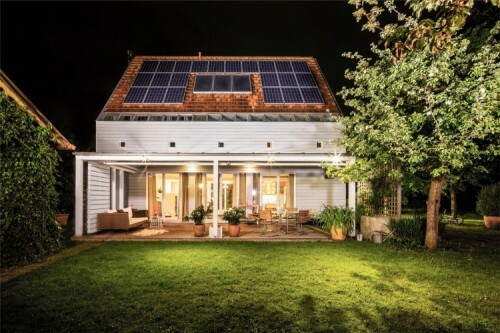 Both solar thermal and building integrated PV are used alongside battery and thermal storage, smart heating controls and appliances, and electric vehicle charging to ensure that the energy generated by each home is flexible and available for use. WPD is investigating the best configuration for wiring in the home to allow diversification of load across each phase within it and across the development. It claims the additional cost for installation should eventually be marginal, although it is anticipated that this will be inevitable on earlier projects due to scarcity of three phase equipment and the new electrical design. Parc Eirin, image taken from REA report. The REA argues that current regulations governing DNOs constrain them from installing “marginally higher cost” three-phase connections, as they are compelled to carry out the lowest-cost solutions. However, Skorupska added that over time these costs would reduce with the government’s blessing. “Additional costs to housebuilders are already low for a three-phase connection compared to a single-phase in new homes. If the government compelled the network operators to fit new homes in this way, the cost would fall even lower,” she said. The organisation estimates that the price of three phase cable would only be a couple of pounds more per metre and would fall to near parity with the right volumes, with trenching and ducting costs equivalent to those in place. Mains joints could be more expensive but the REA says this cost will reduce as they become more commonly used. In response to the report, the Energy Networks Association – representing the transmission and distribution network operators for gas and electricity in the UK and Ireland, including WPD – agreed that three-phase connections would allow network operators to better manage high-levels of distributed energy resources like solar. However, it has said that a discussion was required to establish who should meet the additional costs of adopting the more expensive practice of installing three phase connections. “There is a cost attached to this, due to additional network reinforcement and increased customer connection costs. The DSO transition, behind-the-meter technologies, like storage, and the greater use of flexibility services are key to keeping that cost down, but there still needs to be an open and public discussion amongst policymakers about how it is paid for,” an ENA spokesperson told sister publication Current±.